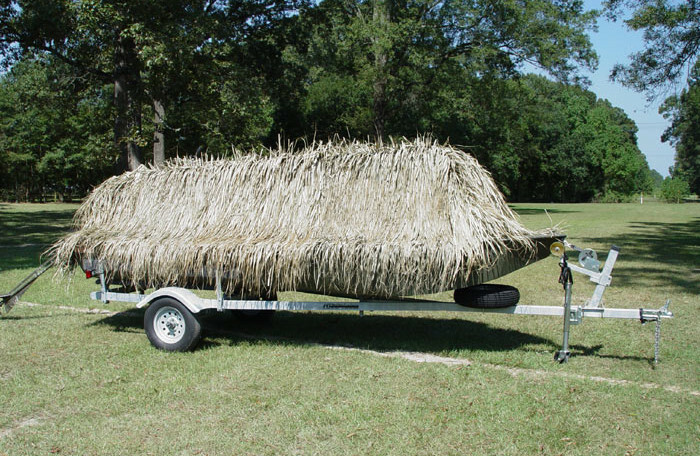 With its strong, lightweight all-aluminum frame the GO-DEVIL Boat Blind will provide years of trouble free operation. 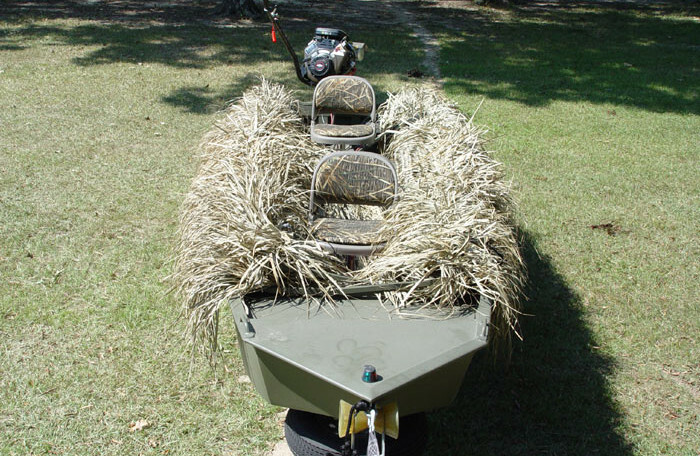 The perfect companions to GO-DEVIL Hunting Boats will fit most duck hunting boats. The blinds attach to the boat using four aluminum bases. Once the bases are installed, the blinds can be installed and removed easily using only 4 d-clip pins to hold it in place. This allows for easy removal of the blind during the off season. No need to drill holes into your gunnels to permanently attach these blinds. The new GO-DEVIL Boat Blinds were designed to be adjustable, allowing for multiple set up positions. The use of snap buttons, predrilled holes and adjustable nylon straps make adjustment quick and easy. Once you get to your spot, simply raise the blind and lock it in place by hooking the 2 brass clasps. That is all there is to it. 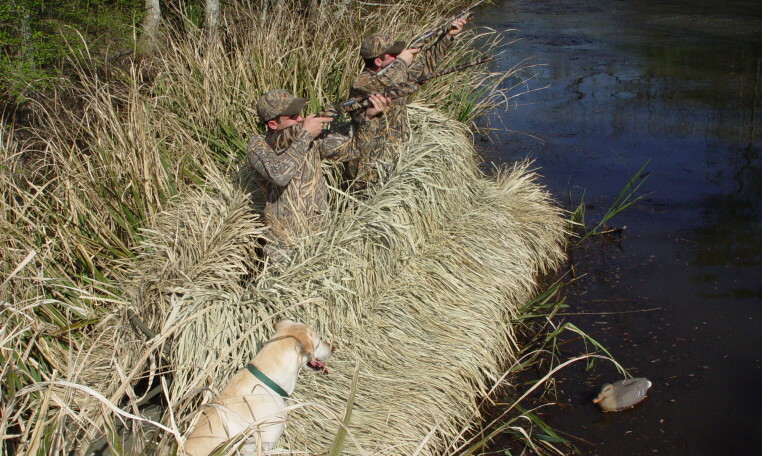 This blind is constructed using Avery RealGrass and backed with high strength plastic netting for durability. Maximum versatility to fit just about any boat. Made for use with GO-DEVIL Engines. 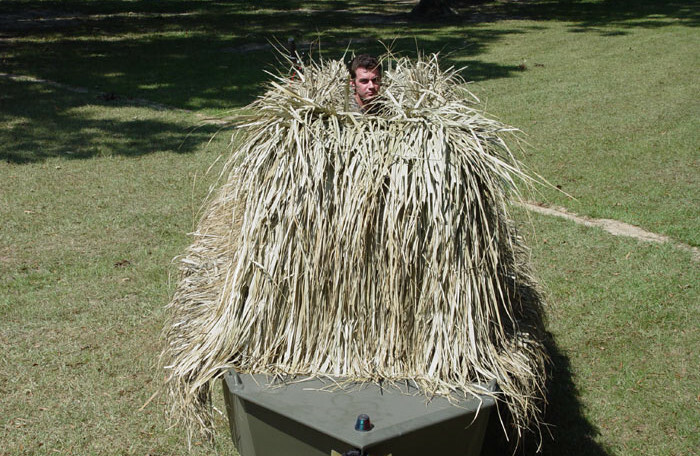 AVERY REAL GRASS camo backed with high strength plastic netting for added durability. Quick field assembly, just seconds to setup. 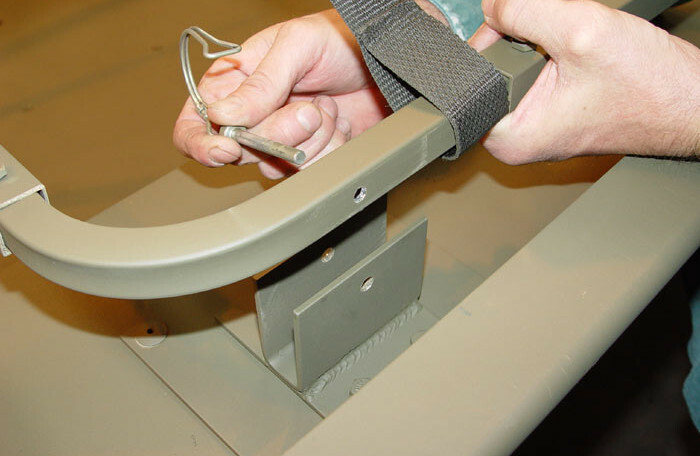 Easy installation, installs in boat with only four bases that the blind attaches to using four removable “D” clips. Blind can be removed in just seconds for off season storage. 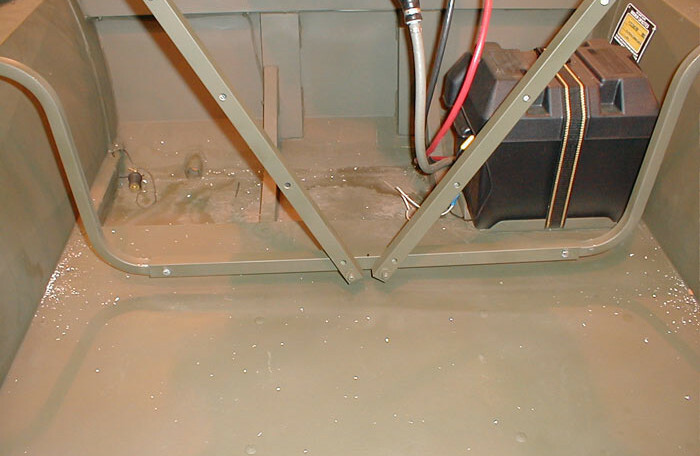 No drilling holes in boat gunnels required.